Since I’ve already posted about hydrangeas and succulents this week, I figured why not keep the botany party going with a post about my beloved 2014 peony crop. If you follow me on Instagram, which you totally should because it’s my favorite form of social media, you’ve already seen some of the gorgeous peonies being churned out this year. 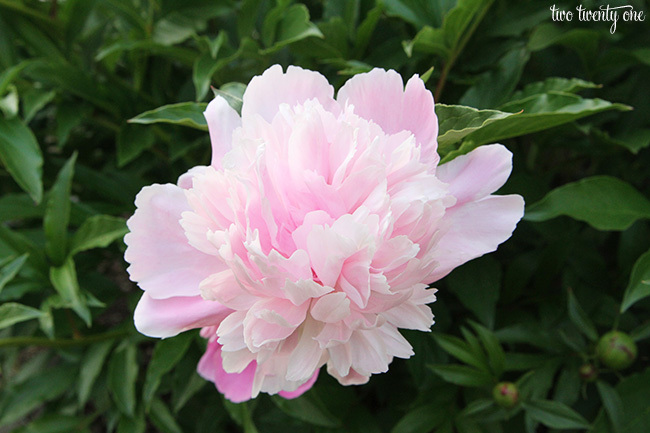 I even have a hashtag going so you can check out peonies from this year and last year. This is clearly a critical operation I’m running. 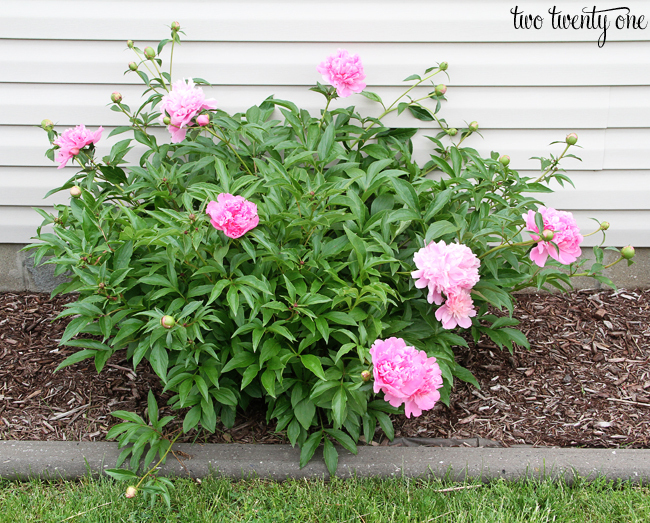 Last year I wrote a post all about growing peonies. 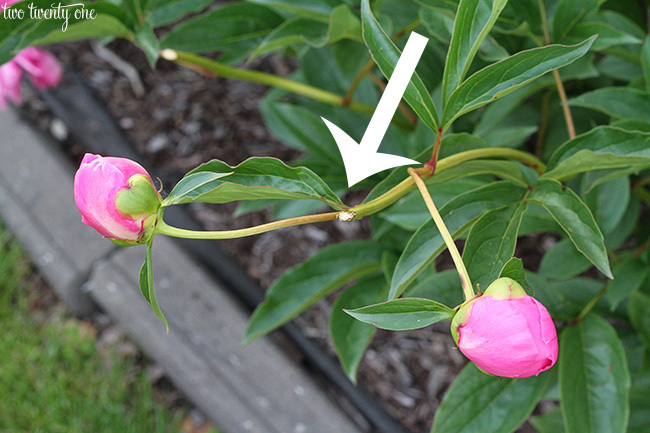 So if you have specific peony growing questions, definitely check it out because I probably answered your question in the post or the comment section. Today I thought I’d share an update and show you how things are going this year. If you are one of those people who hates flowers you should probably stop reading this post, and perhaps we should reevaluate our friendship. Well, let’s just say the peonies are doing very well this year. I don’t know if it was the super long, cold winter we had or what, but these things are becoming monsters. 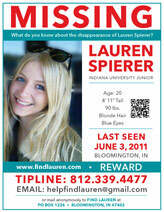 Here’s what they looked like last year. And here’s what they look like this year. 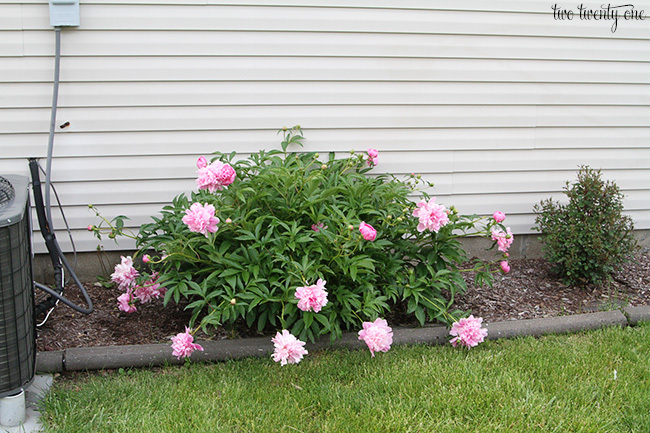 Here’s my oldest (I planted it almost 5 years, but it’s from one of my parents’ mature bushes) and largest peony bush last year. It was about 4 feet wide. And here it is this year. It’s a whopping 6 feet wide this year! There are 20+ blooms on it in this photo and more are ready to open. The blooms definitely aren’t disappointing this year. 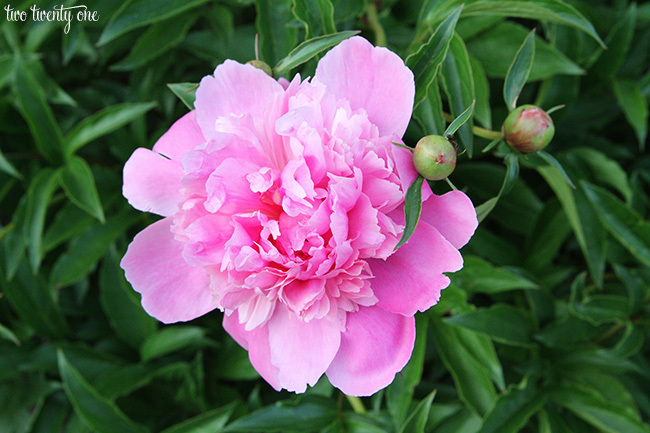 The oldest and largest peony bush produces medium and light pink blooms. I love it. And they smell SO GOOD. This guy is from one of my other pink peony bushes. This particular bush tends to produce more vibrant pink blooms. It also has amazing smelling blooms. The fuchsia peonies decided to explode overnight. I’m not going to lie– they aren’t my favorite. 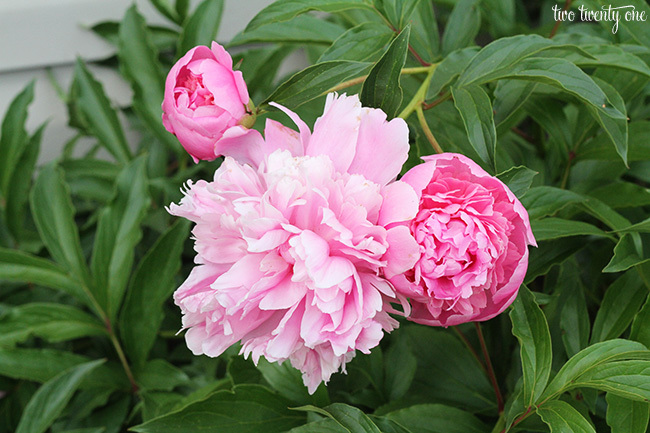 I don’t like the scent they emit, and I find the pink peonies to be prettier in general. But I still like them. 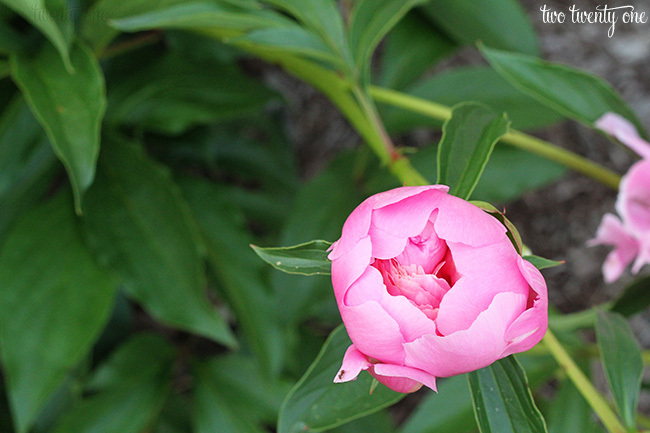 I planted this particular peony in the fall of 2012, so it only produced one bloom last spring. It surprised me because I thought it wasn’t going open (see the bloom here). It has a ton of buds on it so I can’t wait to see how they turn out this year. It was the last bush to bloom last year and it’s doing the same thing this year. 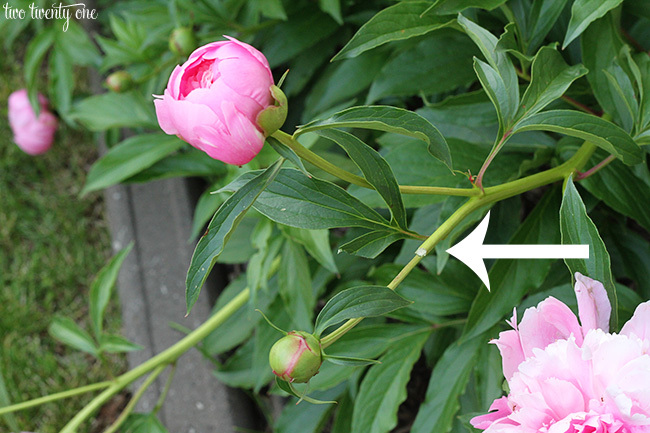 I’m being more diligent about deadheading the peonies this year, and it’s paying off. 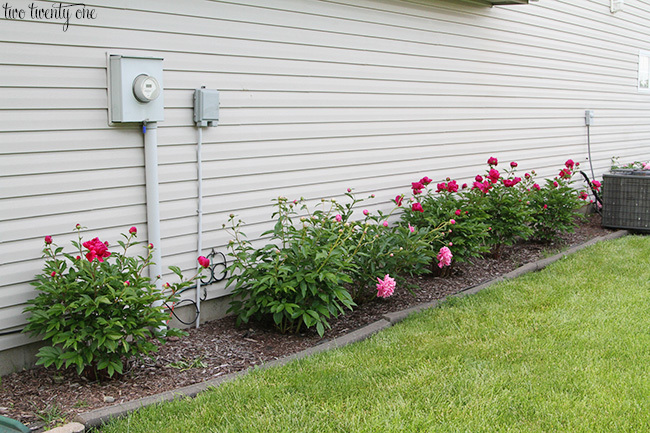 If you don’t know what deadheading is, it’s when you cut off a bloom that has run its course. By cutting it off, you encourage the other blooms on that stem to open because the plant is no longer trying to support the wilting flower. Deadheading also promotes root growth. See how the other blooms are starting to open because I cut off the dying bloom? 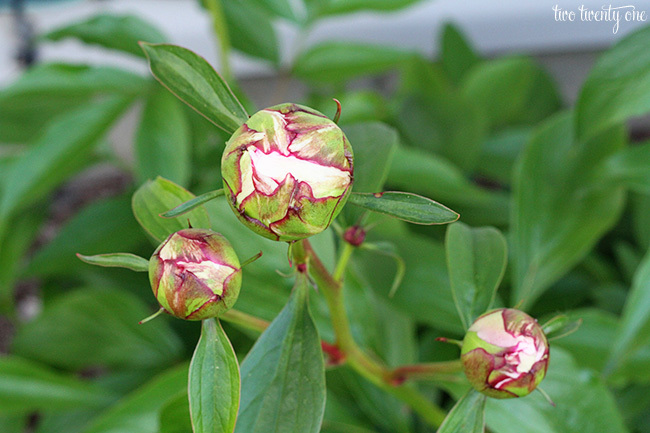 I’ll probably post one more update and share how the yet-to-bloom peony bush looked this year. 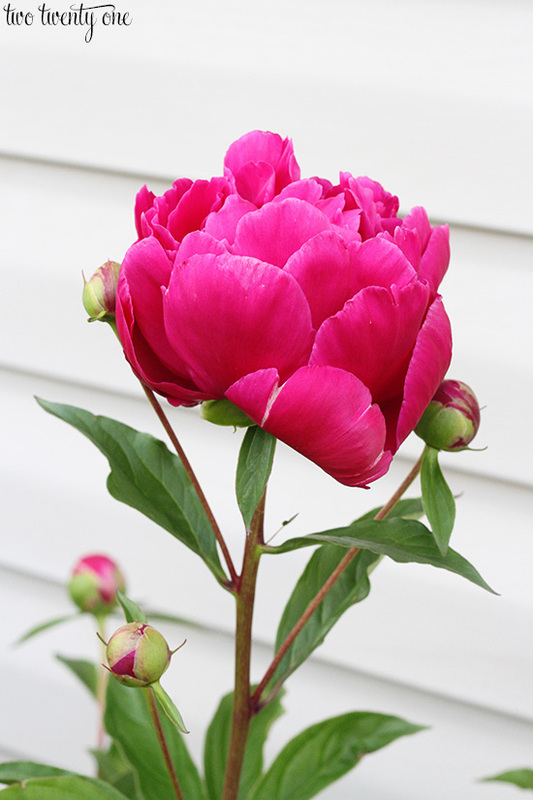 Read more about growing peonies here! 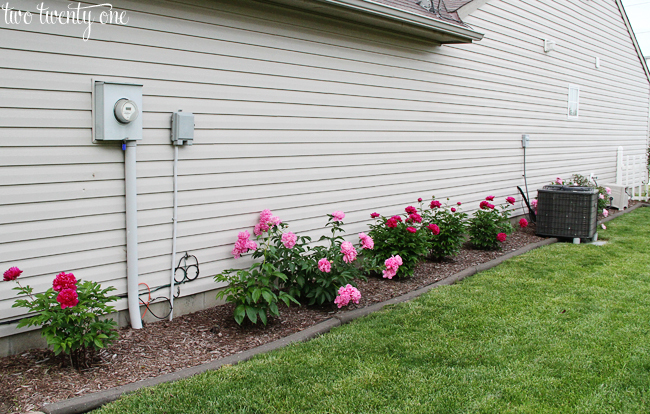 Do you have peonies in your garden? How are they doing this year? Your flowers are so beautiful! Your posted on IG have been making me so jealous too, because our bushes haven’t bloomed just yet. We have one very large bush, and it is covered in buds. I am dying for them the open! Cannot wait! Now I want to get a peony plant! Those flowers are gorgeous! So pretty ours will be ready in July and I can’t wait. They are really beautiful. I love looking at flowers, they make me smile. Haha. I also love hydrangeas & they smell amazing. Happy Friday & holiday weekend! I’ve always loved peonys but heard they attract ants. Is that true? I love them! Oh, they are beautiful! So beautiful! I planted my first peony bush last year and it actually bloomed! Mine are white and I totally regret not going pink like yours. I want to cut mine that have bloomed but the stem would be so short. There are others that are about to open up on the same stem….is it okay to cut them? I so want to bring them into my house!! Peonies are my absolute favorite. I’d love to grow them and love all your tips. Do you know if they will grow in Orlando, Florida. No idea. Read this post and see if you’re in a good plant hardiness zone to grow them. I hope you don’t mind but I copied one of the photos of your peonies for my desktop wallpaper on my new computer. They are my most favorite flower and yours are so lovely. We can’t grow them in Texas so twice a year I buy big bunches! 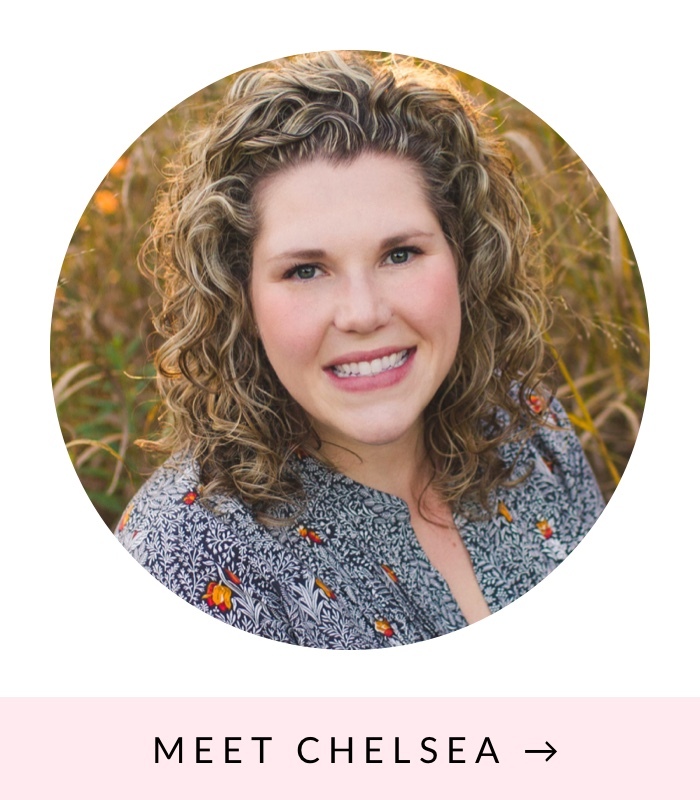 PS love your website. My kitchen looks a lot like yours used to! Did you paint your cabinets or replace them? I think we need to find out if our neighborhood is a granite neighborhood or Formica! ? We have so much to do, but our home is almost paid for (yeah!!!!) and needs some updating! My husband will have to be prepared!